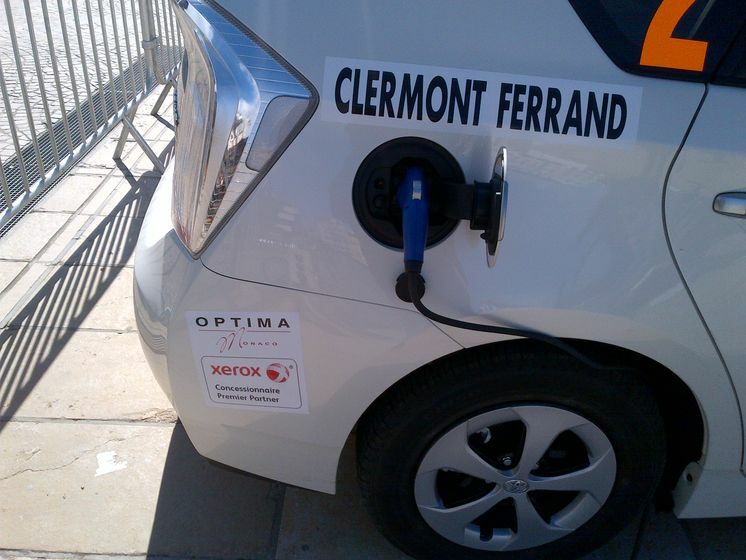 MONTE CARLO, MONACO, (March 25, 2013) – The Toyota Prius Plug-in Hybrid Vehicle (PHV), Toyota Canada’s entry into the Rallye Monte-Carlo des Energies Nouvelles, earned the title of most fuel efficient hybrid and finished fifth overall of 113 entries. 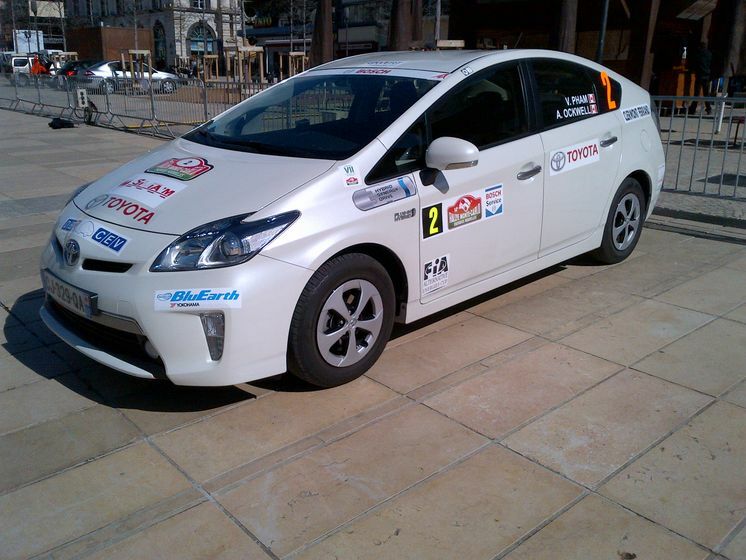 Over the course of the four day rally, the Prius PHV travelled more than 1,500 kms through Monaco, France and Italy, climbing and descending mountain elevations of more than 960 metres, navigating narrow streets in cities and towns and accelerating down highways. In a rally focused on time accuracy and fuel consumption, vehicles and drivers were challenged to consider driving behaviour, fuel use and energy regeneration. Engineered for real world efficiency, the Prius PHV achieved a consistent average fuel consumption of 3.9L/100 km during the rally. Key to the win was the efficient lithium-ion battery which houses 4.4 kWh of energy. The Prius PHV's battery offers three key advantages. The first is its light weight. The battery is big enough to get the job done but still light enough to ensure the battery is not an anchor when empty. The second is managing regeneration during the drive, which allows for energy normally wasted from braking or driving downhill to be recaptured and stored in the battery for later use. Finally, the ability to select EV mode on demand through the simple push of a button. Together, these advantages allow for more battery engagement and better overall energy efficiency. "We're proud that the Prius PHV's real world fuel efficiency was proven on such an aggressive course," said Stephen Beatty, Chief Environmental Officer, Toyota Canada, Inc. "We're also extremely proud of Vinh and Alan for their fifth place finish and their commitment to showcasing what's possible with a Prius." Available through Toyota dealerships across Canada, the Prius PHV offers a city-driving range of approximately 25 kilometres on a full charge when in electric-only mode and the capability of achieving highway speeds of up to 100 km/h. For longer distances, when all-electric drive is depleted, it reverts automatically to full hybrid mode and operates like a regular Prius. 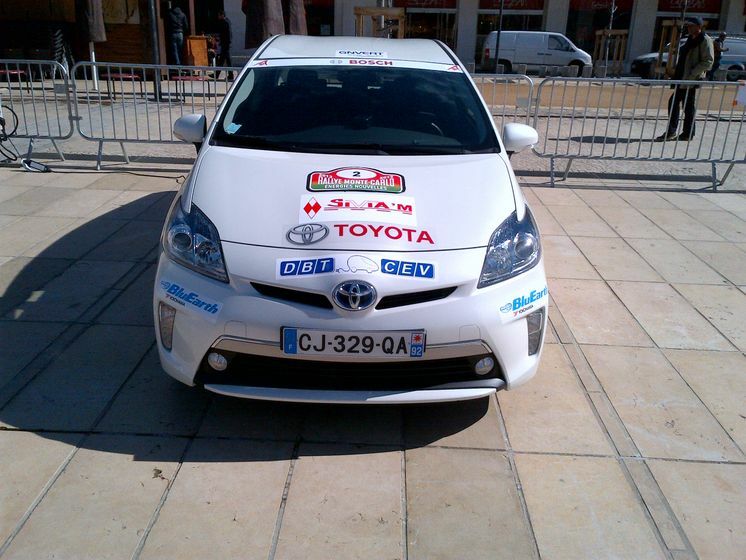 Driver Vinh Pham, Advanced Technology and Powertrain Engineer at Toyota Canada, competed in the 2012 Rallye Monte Carlo des Energies Nouvelles placing 21st of 149 competitors. He also won the 2011 and 2012 Rallye Vert de Montreal rally races. Navigator Alan Ockwell is a multiple Canadian national champion. Ockwell won his first navigational rally at the age of nine and started co-driving in performance rallies at age 18. Since his debut, he has established himself as one of the top co-drivers in Canada, with two national titles and a dozen event victories. 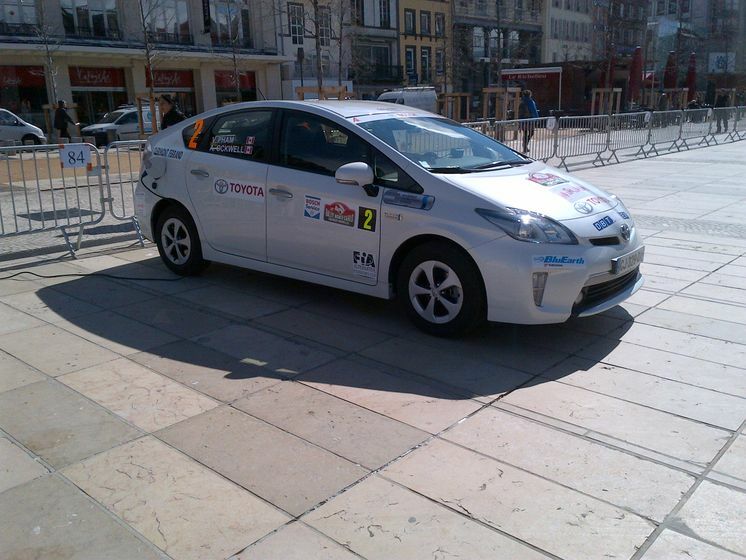 For more on the Prius PHV and the rally, visit, Facebook.com/ToyotaCanadaPriusPlugin or media.toyota.ca. Toyota offers the most fuel efficient passenger car fleet in Canada, led by the industry’s largest selection of advanced technology vehicles such as the Toyota Prius. Toyota hybrid sales accounted for over 80% of the Canadian hybrid market in 2012.